Valori Gibson is a speech-language pathologist in Houston, TX. Practice Type: • Outpatient Rehabilitation Center Practice Areas: • Speech Language Pathology • Speech Therapy Take the next step and contact Valori Gibson for a consultation in Houston, TX or to get more information. Roberta Stanwood is a speech-language pathologist in Houston, TX. Practice Type: • Office Practice Areas: • Speech Language Pathology • Accent Modification Take the next step and contact Roberta Stanwood for a consultation in Houston, TX or to get more information. Laura Upton is a speech-language pathologist in Houston, TX. 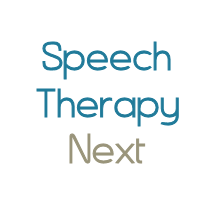 Practice Type: • Self-Employed Practice Areas: • Speech Language Pathology • Articulation and Phonological Process Disorders • Voice Disorders Take the next step and contact Laura Upton for a consultation in Houston, TX or to get more information.